Kirill has not been a big fan of Bartholomew at least since 2016 when the latter led an Orthodox Council on Crete where the issue of autocephaly was discussed in the first place. To put it simply, the Russian Orthodox Church is Beyoncé and the Ukrainian Orthodox Church is Taylor Swift and Kirill (Kanye) does not want the MTV best music video award (autocephaly) to go to Taylor. Kanye has always thought that Taylor was inferior to Beyoncé, but now he is also alienating Jay-Z (Bartholomew) through his concert jabs. And Jay-Z feeling as a higher-ranking patriarch – Kanye did start under his label just like Moscow adopted Christianity from Constantinople back in the day – is contemplating the split in part because of Moscow’s patriarchy’s position on the war in Ukraine. For me, Ukraine is the same as Russia. My people and my Church are there […] This is a reason for sleepless nights and for great enthusiasm that I feel when I think about the people who are so fiercely fighting for their beliefs, for their right to stay Orthodox. Patriarch’s re-framing of the armed conflict in South-East Ukraine is curious. In his interview, he does not really mention the previously dominant ‘fascism’ narrative that was ubiquitous on Russian mainstream media. Instead, he frames the conflict in completely religious terms, arguing that a ‘European way’ precludes people from being Orthodox. This argument is far from unusual: this kind of construction is also linked to a much older discussion on the role of Orthodoxy in Russian identity dating back to the Middle Ages. Representatives of the Russian Orthodox Church largely ignore discussions on Russian intervention in the east of Ukraine and the annexation of Crimea blaming the crisis in the “brotherly” country on nationalists and “external forces”. Many Ukrainians who resent Russia’s role in the conflict want to leave the Ukrainian Orthodox Church of the Moscow Patriarchate for other autonomous Orthodox Churches or (horror) for an Orthodox branch responsible to the Pope. If Ukrainian Orthodox Church is no longer dependent on the Moscow Patriarchate, it would mean both prestige and financial losses for the Russian Orthodox Church, Russia, and Patriarch Kirill personally. 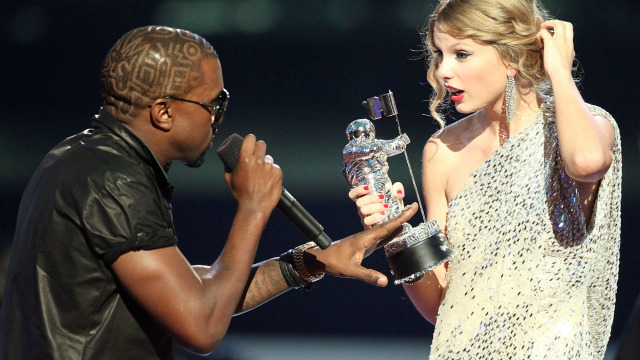 But by the looks of it, Taylor doesn’t want Kanye to tell her what to do. *Moscow as a third Rome is a diss track written in (surprise) Moscow in 15-16thcenturies that argued that Moscow is the ultimate successor to the legacy of the ancient Rome, including Christianity, because previous Romes (Rome and Constantinople) fell.